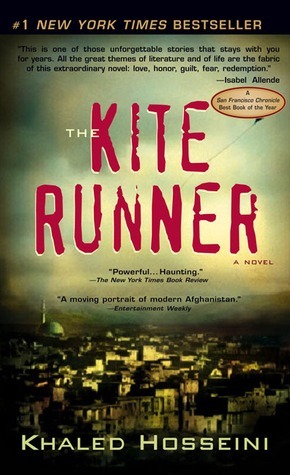 A novel set mostly in Afghanistan. The introverted and insecure afghan narrator, Amir, grows up in Afghanistan in the closing years of the monarchy and the first years of the short-lived republic. His best and most faithful friend, Hassan, is the son of a servant. Amir feels he betrays Hassan by not coming to his aid when Hassan is set on by bullies and furthermore forces Hassan and his father Ali to leave his father´s service. Amir´s relatively privileged life in Kabul comes to an end when the communist regime comes to power and his extrovert father, Baba emigrates with him to the U.S. There Amir meets his future afghan wife and marries her. Amir´s father dies in the U.S. and Amir receives a letter from his father´s most trusted business partner and, for a time, Amir´s surrogate father, which makes Amir return, alone, to a Taliban-dominated Afghanistan in search of the truth about himself and his family, and finally, a sort of redemption.